We know summertime is in full swing here in Florida! This means a lot of sun, beach time, and more often than not, large social gatherings. With the 4th of July right around the corner, we wanted to take a minute to remind you that summer get-togethers can include a lot more than just burgers and hot dogs. Here at San Jose’s, we offer a wide array of catering options for all of your party needs. Whether you are looking to feed 20 people or 100 people, we can help you customize an order to fit your exact needs. Our catering options come available a la carte or in various packages, including everything from a Nacho Bar to our Tour of Mexico package. No matter what authentic Mexican cuisine you are craving, we can work together to create the perfect menu for your event! If you’re looking for a way to get out of the heat, don’t forget about our amazing summer special! Every Monday through Thursday between 3-6 PM, we are offering a buy one, get one half off special on ANY entree! So grab a friend or take your whole family out for some amazing burritos or tacos at an unbeatable price! And with the 4th of July falling on a Wednesday this year, that means you can take advantage of our special on your day off! Finally, don’t forget to stop in and try our latest menu items! 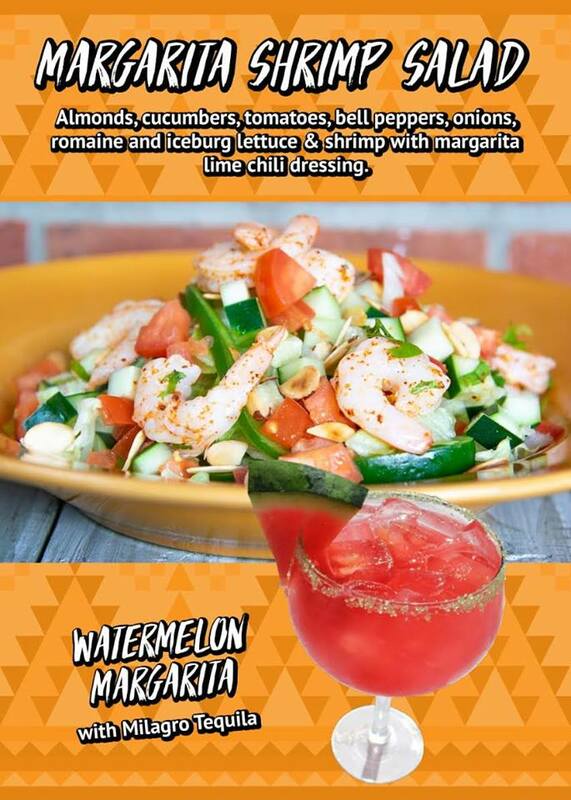 We are now offering a Watermelon Margarita (delish!) and a Margarita Shrimp Salad! Don’t both of those sound incredibly refreshing and like the perfect summer options? Trust us, they are! San Jose’s loves the summer, and we are so excited to share these specials with you! Call today to schedule any of your catering needs or stop in to cool off with a refreshing drink or salad! Summer is HERE!! !